To slash (with a sword). 'Shoe money'. bounty demanded by troops for prolonged marching. Leather personnel carrier. military boot. Person wearing caligae . soldier, NCO or officer below the social rank of eques Romanus . 'Born at the exercise field'. elite legionary soldier. Cavalry training area. exercise field. Field of Mars where during the republic troops were assembled prior to military campaigns. A - soldier awaiting promotion. B - late Roman guardsman. The nickname of the soldiers who had survived the defeat at Cannae and were kept in service until Carthage was defeated in the Second Punic War. 'Head count'. citizens that could not meet the property demands required for military service. Container with bandages and medical implements carried by medics. 'Boar's head'. attack column or wedge formation. Military base at Rome for personel seconded from the provincial armies. A - base of the praetorian guard at Rome established by Tiberius. B - dense close ordered formation in the late Roman army. Possessions acquired by soldier during military service which remained outside the patria potestas . Soldier discharged for wounds or other medical reasons. 'Give me another'. nickname of a hated centurio killed in the Pannonian mutiny of AD 14 who used to break his vine sticks on the back of his men. Provision of (money for) food. often extorted by soldiers billeted on civilians. Late Roman officer of equivalent rank as centurio . Unit of nominally a hundred men. 'Hundred'. military unit of some thirty to two hundred foot soldiers. Centurion commanding a centuria . Second in command of a manipulus . Senior centurion of a manipulus . District centurion responsible for administration and law enforcement. Officer attached to the speculatores of the praetorian guard. Officer in charge of horse supply to the army which was at times placed in command of the pedites singulares . Supernumerary centurion with special assignments. 'Animal horn'. obstacle made of pointed stakes. A - soldier equipped with a small shield. Unit of nominally a thousand men. 'Commander of a thousand'. Greek term for tribunus . 'Girded with sword belt'. combat ready. Late Roman junior cavalry NCO originally tasked with making rounds to inspect sentries. 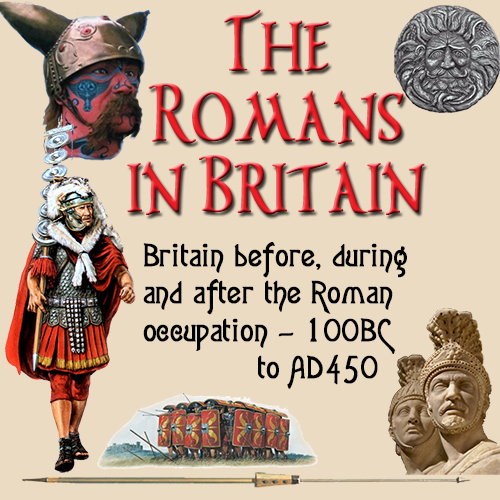 Epithet of auxiliary units that were either originally recruited from Roman citizens or had received a mass grant of the citizenship for outstanding service. 'Lollian defeat'. defeat of governor Lollius against invading Germanic tribesmen in 16 BC. 'Varian defeat'. defeat of Varus in the Teutoburgian forest in 9 AD. A - part of population with military service obligations. 'Praetorian fleet'. main naval fleet stationed at Ravenna or Misenum. 'Praetorian fleet of Ravenna'. main Roman fleet based in Adriatic Sea. 'Praetorian fleet of Misenum'. main Roman fleet based in Tyrhenean Sea. 'Hobnail money'. allowance given to soldiers for purchase of extra nails when involved in prolonged marching. Curved wall and ditch extension protecting a gate of a marching camp. Guard stationed at the gate. 'Field oven man'. heavily armoured cavalry trooper. Allied - or auxiliary unit. Auxiliary unit originally formed of sailors and marines. Unit of auxiliary infantry with attached mounted squadrons. The unit of Germani custodes corporis . 'Thousand strong unit'. military unit with an establishment strength of a 1000 soldiers. 'Palace unit'. tetrarchic title of cohors praetoria . A - bodyguard of a general during the republic. B - unit of imperial guard. Military unit with an establishment strength of 500 men. Guard unit of Marcus Antonius composed of scouts. Unit of praetorian guard in civilian dress tasked with duties within the pomerium . Auxiliary unit granted a torques . Urban cohort. military police unit. Cohort of the watchmen. unit of the police force annex fire brigade. Soldier belonging to a cohors. Member of the same unit. A - friend of the emperor. Commander of the household troops. 'Count of the household cavalry'. late Roman guard cavalry commander. 'Count of military affairs'. late Roman military commander. 'Following'. imperial field army of the third century AD. 'Companions of our lords'. imperial horse guards from the tetrarchy. Popular assembly based on ancient army structure of centuriae . Senior officer elected by popular assembly. Fellow soldier. brother in arms. 'Commodus' own'. honorary unit title. Field commander's report to the senate. Soldier of the same rank. 'Concord of the armies'. propaganda slogan used on coins. Late Roman imperial advisory council. Service regulation. Several sets of military constitutiones were formulated by emperors, among them augustus and hadrianus. Consul. highest magistrate in republican Rome commanding major military forces. Heavy cavalry soldier armed with two handed pike. Tentparty. group of soldiers sharing a tent. Spear. heavy two handed thrusting spear. B - wing of battle formation. 'Horned ones'. late Roman auxilium palatinum . Wreath or crown awarded as military decoration. Wreath of oak leaves awarded for saving a fellow citizen's life. Grass crown awarded for saving an entire army. Crown awarded to first man reaching the top of an enemy wall. Crown awarded to first man on top of an enemy rampart. Transverse helmet crest used as recognition mark of centurion. A - attack column or wedge formation. A - soldier, NCO or officer with special responsibilities. Interim commander of auxiliary regiment. Commander of the Germani custodes corporis , the imperial bodyguard. Person in charge of arms supply. Officer in charge of time served soldiers awaiting discharge. Wagon post. imperial wagon transportation service. The public career path of Roman nobles consisting of both civilian and military posts. Soldier tasked with the registration and supply of weapons and equipment.